Make “shadow coaching” a part of your leadership development training, and gain truer understanding of strengths and weaknesses. Something I find interesting is that this article was written in 2000, yet every word of the above quote still holds true today. But it also got me to thinking that as steadfast as leadership coaching has been throughout the years, it has also grown with the needs of our ever-changing business environment. 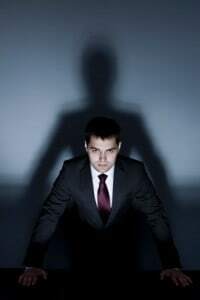 As personal performance has become more of a focus over the years, more and more organizations are realizing the benefits of “shadow coaching.” During a shadow coaching session, the coach follows the client for a prescribed amount of time—a day, a week—makes observations on the client’s actions, then provides feedback at the end of the session. Coaches may comment on anything, from how the client organizes his or her day, to how he or she interacts with other co-workers. Why is this so beneficial? Well, even the most self aware of executives could use more self-awareness. No matter how well meaning we are, we often get caught between what we mean to do, and what we really do. Shadow coaching removes the leader’s own perceptions, creating a crystal clear mirror in which he or she is reflected back. How does shadow coaching differ from traditional leadership coaching? In traditional coaching, the client’s perception forms the feedback source. In shadow coaching, the coach is the feedback source. Watching the leader in action allows the coach to gain much deeper insight about the leader’s working style and environment. When facilitated by an expert coach, shadow coaching can be a profoundly effective process. Shadow coaching gives managers and leaders an up-close-and-personal perspective of both their strengths and weaknesses, and what they can immediately do to be more productive, effective, and strategic as leaders. Should shadow coaching replace traditional coaching? Never. There are many benefits of considering the leaders perspective, as well as the perspectives around him or her. But I do advocate a shadow coaching session as part of your overall leadership development training. If you want to learn more about how shadow coaching can help the leaders in your organization better meet their goals, contact TurnKey Coaching & Development Solutions at 281-469-4244 to learn more.